LeadCrunch, by Englue, uses artificial intelligence to identify patterns and reveal the companies and individuals most likely to buy your products and/or services. Founded in 2013, Englue is based in Carlsbad, California. 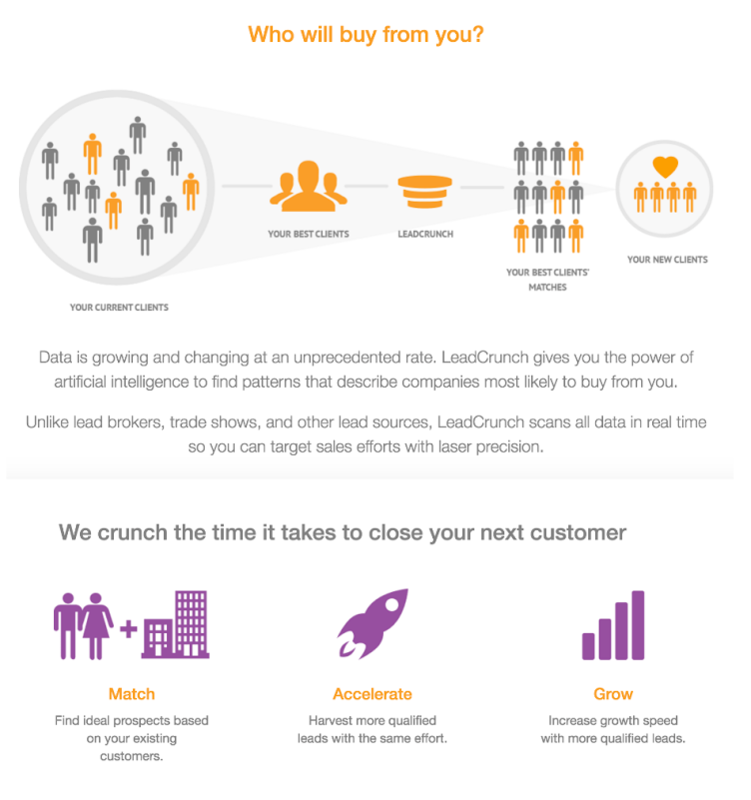 LeadCrunch helps B2B companies identify high quality leads. Begin with a list of at least 25 of your best customers, and LeadCrunch will do the rest, predicting the best fit between buyers and sellers. The first step, which they call SurfaceMatch, matches your existing customers with ‘lookalike’ businesses. The second step, DeepMatch, then vets these leads, prioritizing them based on the similarity with your existing accounts. The result is a list of highly-targeted prospects for your sales team to call out on. Supercharging your outbound sales and marketing with LeadCrunch will enable faster revenue growth with less human labor — and it gets smarter and faster each time it’s used. Even better, the LeadCrunch API enables quick and easy delivery of these highly-qualified leads directly to your CRM, or almost any other marketing tool. 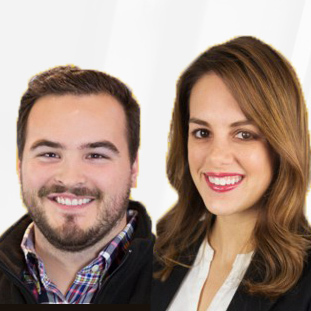 We recommend LeadCrunch to any business looking for a predictive lead generation solution, but especially small-to-medium firms lacking the budget for more traditional lead generation, or those firms pursuing an account-based marketing strategy. Have questions about LeadCrunch? Want to find out more about sales intelligence or account-based marketing software in general? Call, click, or email to speak with an unbiased Technology Advisor for a no-cost, no-obligation consultation on your unique requirements. Learn everything you need to know about LeadCrunch. Our experts will reach out to you shortly.